SINCE 1919 - Clauss & Company Insurance Agency has been here in Buffalo, NY to help you find the right insurance coverage for your vehicles. In the event of a claim, you can be assured that we'll be here to provide any support you may need. As an Independent Insurance Agency, we choose among several leading Insurance Companies to find the best combination of coverage and price for you. The Auto Insurance Experts at Clauss & Company Insurance Agency can help you choose appropriate limits and deductibles, offer optional endorsements to consider, and identify any opportunities that you may have for Premium Discounts. 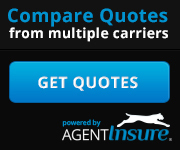 Try using our Multiple Online Auto Insurance Quote System. After submitting your information, you will receive Car Insurance Quotes from several reputable insurance companies. You are welcome to Contact Our Office at any time to request a FREE consultation with an Auto Insurance Expert who can help you determine the optimum auto insurance policy for your car or truck. Auto Insurance is a type of Vehicle Insurance that is designed to cover your Private Vehicles, including Cars, SUV's & Trucks. Your Auto Insurance Policy can provide coverage for your car or truck against physical damage resulting from traffic accidents if collision is included. Comprehensive coverage addresses losses from fire, theft, and vandalism. Optional coverages are rental reimbursement and emergency roadside assistance. Your Policy also provides Personal Liability Coverage for bodily injury or property damage caused while driving your vehicle. No-Fault or Personal Injury Protection (PIP) provides coverage for medical expenses for the driver and passengers if injured, as well as work loss and other expenses. Supplementary Uninsured / Underinsured Motorist coverage (SUM) provides coverage if you are involved in an accident with another driver who has no insurance at all, or low limits that get exhausted. You can then collect from your own policy under SUM. NOTE: Coverage for vehicles titled and registered in a business name requires a Commercial Auto Policy. The Premium for a personal auto policy is determined by several factors, including: age of driver, number of years licensed, garaging location, cost new for vehicle, use, and driving history. Most companies today also factor in your credit score when calculating your premium. The experience period most carriers use for violations and accidents is three years. However, for major violations they can go back five years or more. Carriers also prefer to see that you have had prior continuous coverage, and will underwrite any licensed drivers in the household, even if they don't drive your car. When physical damage coverage is written, higher deductibles will result in a lower premium. If a defensive driver course is taken, the premiums for no fault, collision, and liability are discounted by 10% for a period of three years. You can also realize a companion policy discount if your auto policy is with the same company that covers your home. Two of our carriers write personal package policies which included coverage for car(s) and home on one policy, with one bill. The Car Insurance Experts at Clauss & Company Insurance Agency are here to help write a policy that is right for you, with coverage and limits you need, at a price you can afford. We understand that you buy insurance hoping that you'll never need it, but knowing that when you do, the claim process will be fast and fair.